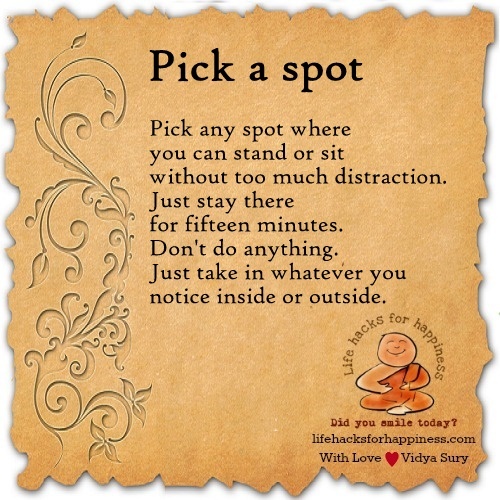 Pick any spot where you can stand or sit without too much distraction. Just stay there for fifteen minutes. Don’t do anything. Just take in whatever you notice inside or outside.